: I was in junior school when i first heard elvis's songs on tape. We used to play it every night at home just to soothe our senses. It was absolutely beautiful. : Elvis's image, his voice, what he did for the music world, what he is known to be, all sort of compiled together to make me an incredible fan of whom i call THE KING! I always wished that i would have seen him live on stage but unfortunately i was born in the wrong era! Yet, he is like God to me! "My Message to Elvis": If elvis were alive i would have asked him firstly to give me a copy of all the songs he'd ever sung and autograph them and secondly whether he would allow me to play with him.... since i play the sax, i wud have loved to do numbers with him! : It is extremely hard to pinpoint any such favourite song or movie coz all his songs were outstanding! But i'd say it would be the song called MEMORIES which i like because it is sung with lots of emotion and i love the words of the song and of course, ELVIS's VOICE! : the red coat that is shown on the Elvis Tribute video on this site. : I think he loved his music and the people who made it possible for him to be who he was. I leave aside the person he loved most, Priscilla since that would be obvious! : I was nowhere on the Earth when i heard Elvis had died... i was born 11 years after his death! : He is the person whose voice, whose life story and whose songs have changed rock n roll forever. He is still the King and his generation feeds the next generation and encourages them to listen to his songs, thus starting an unending chain! : I WOULD LOVE TO GO TO GRACELAND! :: Dear Elvis, If you were alive today, the world would surely have been a happier place. Your voice, your songs all would have kept fans like us making a beeline for the nearest music shop. Your memory lives in us, and me especially. Your legendary stature stands sturdy and upright in the music world that still hails you as their KING. Alas! Only if you were alive. These memories of your life and what you left behind goes on and will go on till eternity! : I am a 19 year old guy from India. I have been into music since i was 7, when i started learning the sax. it was around that time when i developed a passion for elvis's songs and when i grew up to be in high school i was collecting elvis songs and movies by the dozen! It was then that i started keeping elvis type sideburns which instantly became a hit in school and i still am adorned coz my friends told me i look good in it! In india, especially in the city i live, Calcutta, the sale of oldies is higher than any other indian city. That is why i find lots of CDs and cassettes in the Elvis section of music shops, which is the first niche i visit when i go to a shop selling music! i have always dreamt of owning a Cadillac like him and of course, adorn my self with Elvis memorabilia like Tshirts and mugs, etc. It is a hobby of mine now, collecting elvis stuff, and noone seems to mind it one bit!! : Put more interesting pics that fans can download. 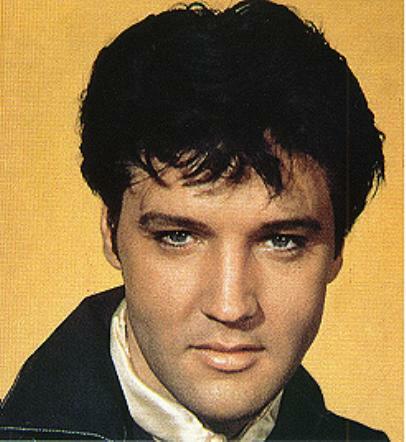 put rare videos or songs on the site so that fans who are in love with elvis would be able to download them on their PCs. Wow, you`re quite a fan! Thank you for your comments and suggestions in our survey. I love collecting Elvis memorabilia too. Your choice of song is absolutely wonderful; most of his songs are very easy to relate too. Elvis has given so much to us all, he will forever be King of our hearts! Hope you make to Graceland, I bet it`s an unforgettable feeling. I was able to go to Elvis in concert tour, which included his TCB band last year in Melbourne Australia. It was just unbelievable! I cried, I sang, I laughed it was just so overwhelming to be their all emotions let lose for I never thought I would ever get such an opportunity of seeing the man who captured my heart on stage. To go to Graceland which I hope to one day do, would be a wish come true. I`m sure there`s not an Elvis fan out there that hasn`t had the same wish or dream` All the best with your sax playing Surojoy.